Working from home is ideal because you are cutting on costs for transportation, paying a nanny’s salary, time spent commuting and eating out. 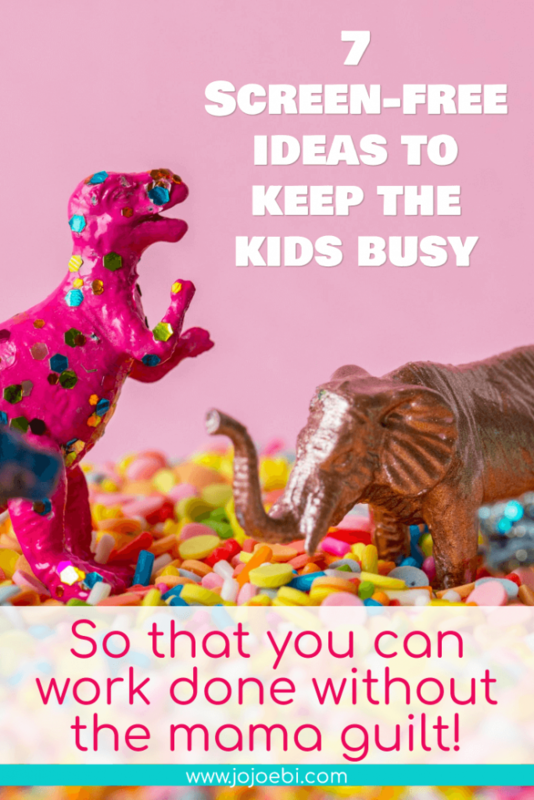 While this is a perfect setup especially with a growing family, it may also be a struggle because your kids can get bored or run out of things to do… and we all know what happens next! 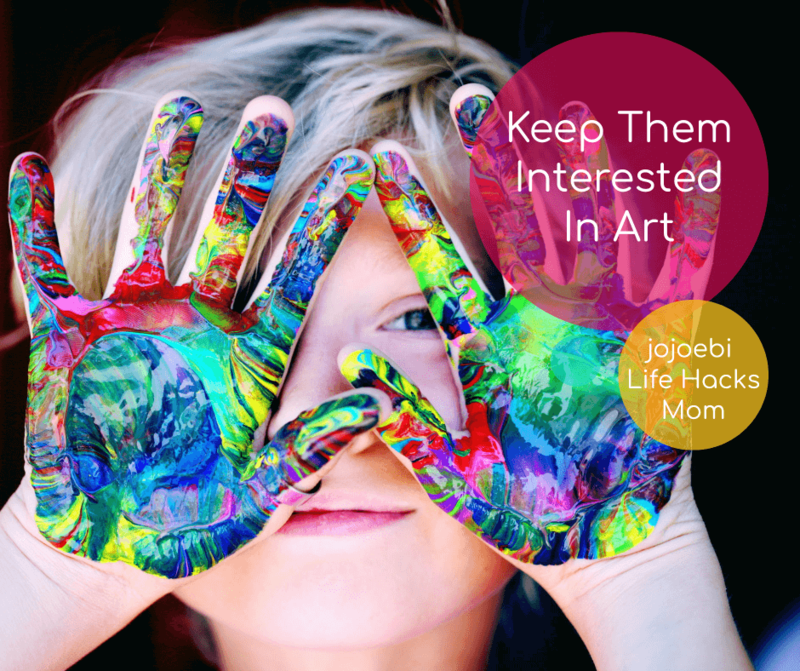 As a work-from-home mom, thinking of activities to get your children going and entertained can be challenging. Of course, you also want them not to be too dependent on gadgets and screen devices, we don’t need mama guilt rearing its ugly head thankyouverymuch! Art projects are fun to do at home. It helps to improve your children’s behaviour and imagination. Engaging them in the field of art can also make them occupied for hours, and you can do your work more peacefully. By letting them draw or colour, you are exposing them to different techniques and how art is formed. This way, you are opening doors for them to discover new things and learnings. Creativity is an important aspect in education and unfortunately, kids don’t get as much chance to get creative at school. With the right materials, a craft basket or art station can keep your kids busy for hours. Reading is a crucial skill your kids is recommended to master. The better the reader, the more likely they are to be a good writer, too. Giving them books to read can occupy their boredom and leave them busy with different stories in mind. Reading books can also be like watching television for them. It is more about imagining images in their head and running a story with it. Keeping them busy with reading can help you accomplish more work in the day. If you are struggling to find books that are the right level, try this tip, it works pretty much every time. My son is a ferocious reader which I love but it does cost me a small fortune in books! If you have a decent library nearby, make good use of it. I’ve also found that when my son is engrossed in a good book he gets more excited about writing, one feeds the other. Having a couple of baskets set up with books about a favourite topic is a great way to get them sucked into spending some quiet time with their books. Change it up once a month to keep things exciting you can also add in activities to go with the books, there are plenty out there on Pinterest. Children’s body clocks are unpredictable because they are more active than adults. With their level of energy, it is indeed struggling to put them down to nap or have them sit down and do something. If you are starting to engage in a work-from-home setup, it is also essential to walk your kids through the experience, so they know how to act and what is acceptable or not. It is also recommended to create a schedule for them on what activities they should do and continuously do it to build it as a habit. Consistency is key. It might help your child if they can see a schedule of the day or have a clock with the different activities marked out. Once they get the routine, they’ll be able to occupy themselves without your help. 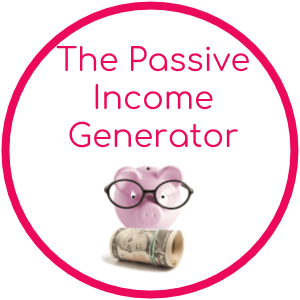 Once you have this down it will be easier for you to plan your day around their schedule, win-win for both of you. 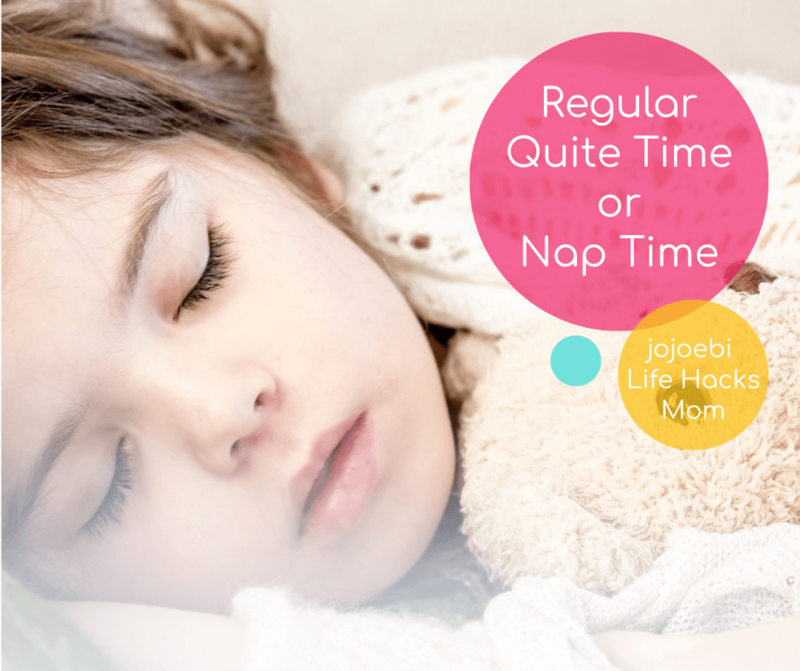 For kids that are getting to the age where they no longer need a nap, encourage quiet time activities instead. Giving your kids toys and making them busy with it sounds like a common-sense idea. But the toys must spark interest for them to play with it for a longer period. Children often quickly lose curiosity for their toys. They are fond of moving on to other things. One trick is, do not give all the toys to your children. Create inquisitiveness with every new toy, so they would show interest and allow you to go back to what you are doing. Using toy rotation is a great way to do this and a plus is that if there are fewer toys out on the shelf, even if they tip the lot on the floor there will be less tidying up! Give them bricks, trains, educational wooden toys, or playsets. Make sure that these toys are safe for use and do not contain choking hazards so that you don’t have to be watching them for every minute. Open-ended toys that will foster their imagination will be good for them and give you more time to work. Put a few toys out and then put away the rest, every other day switch the toys up and watch how your child will suddenly find a new interest in something that hasn’t been played with for a while. A busy working from home mommy often has to turn down playdates because it means more kids to look after. However, if your children are already at around seven to eight years old, playdates would be useful for them to socialize and for you to work better. At that age, if they have a friend to play with can keep them busy and with minimal supervision from you. Take this opportunity whilst the children are busy playing with their friends and finish your tasks. 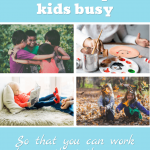 It’s a two birds, one stone situation – you can finish your work, and your kids have fun at the same time. Another idea, if childcare is out of your budget is to have child swap days with a friend. My mom used to do this when I was a kid, she had two friends who had kids a similar age to my brothers, one mom would take all the kids for the day so that the other two moms could get on and do stuff. Then they would rotate the mom in charge, the kids all thought it was great and even though the mom in charge had more kids underfoot they were usually kept busy with each other. I’m sure there were occasional fights and arguments but the kids were all good mates so they were few and far between. Audiobooks and podcasts are sorely underrated for kids entertainment. If you prefer a screen-free activity that can still stimulate their interest and learn a new lesson, audiobooks are the answer. Scribd has some great options and when you join you also get access to FarFaria App which has loads of kids books available. You can get 2 months on Scribd free if you sign up here. Always remember to choose something that is appropriate with their age. 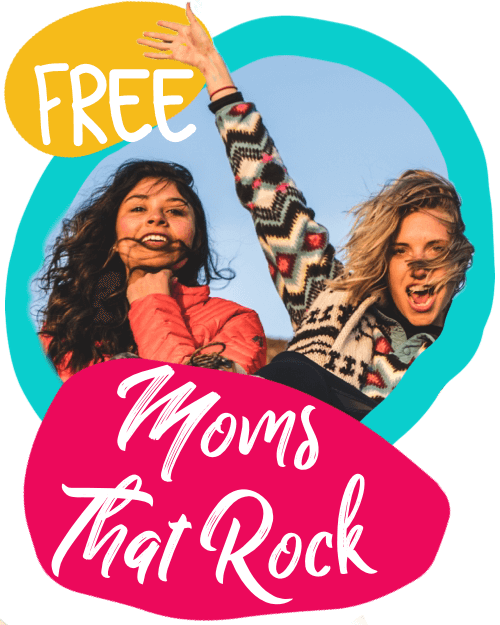 I found the best way to find something good is to ask friends or in the Moms That Rock group. Drawing teamed up with listening to an audiobook can be a great quiet time activity. If you have a lawn or a garden, kick the kids outside! 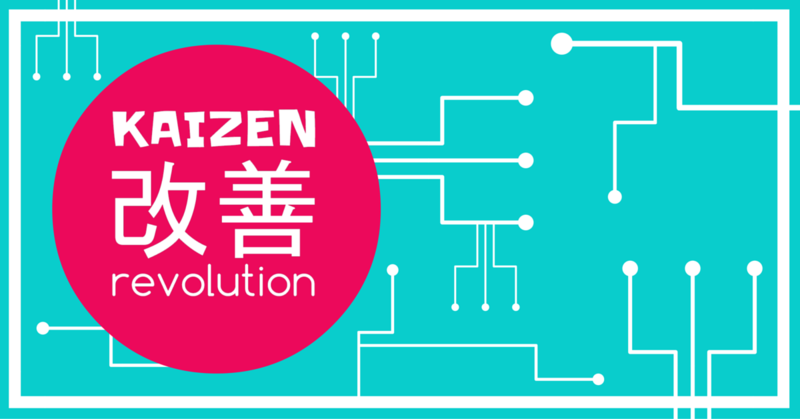 It can help them to build their physical body and it can also give you the luxury of the time to finish your work. It’s amazing how busy they can get with just a few things to play with, old pots and pans and they have their own restaurant, an old bed sheet and a few cushions and they have a den, castle or secret hideout. Plus fresh air really does help wear them out, resulting in better sleep at night! Letting your children enjoy screen-free moments are essential to their growth. Wooing them away from too much gadget dependency can also spark better results at home and in school. 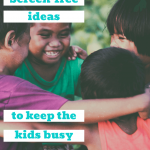 There is a lot of evidence pointing to the downside of screen-time, although these days it’s difficult to be completely screen-free as parents it’s up to us to decide where and when screens are allowed. 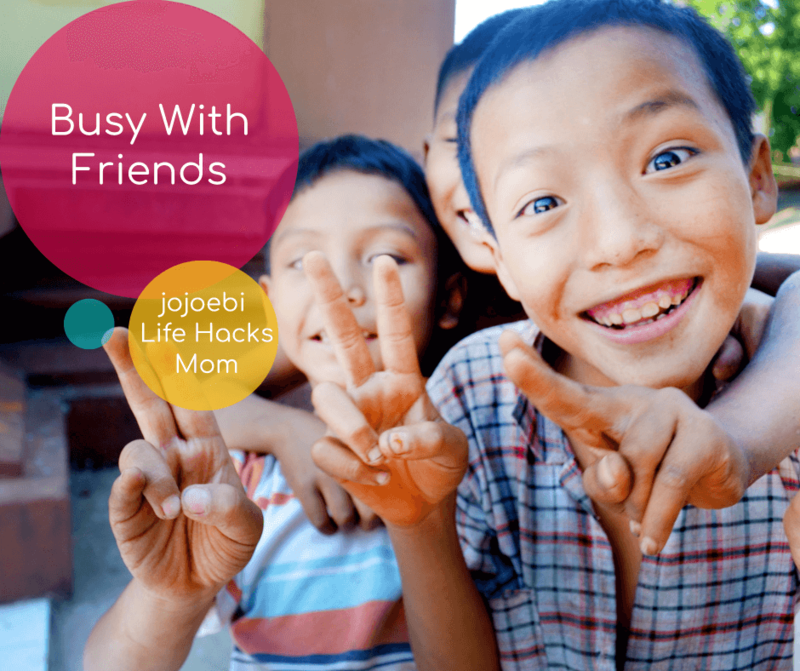 Being able to provide them with alternatives, in the long run, is better for your kids and it will reduce the mama guilt, setting a limit on how much screen-time is allowed a day will help you and your kids regulate the time better and give everyone a more balanced day.